About one hundred times less toxic than chemotherapy, turmeric extract (curcumin) was found more effective at killing colorectal cancer stem cells from patients than a popular combination of conventional drugs. Researchers from the United Kingdom have just made a major breakthrough in cancer research by demonstrating for the first time in patient-derived colorectal cell lines that a turmeric extract (curcumin) is not only an effective adjunct agent to enhance conventional chemotherapy, but that it may be even more effective on its own. 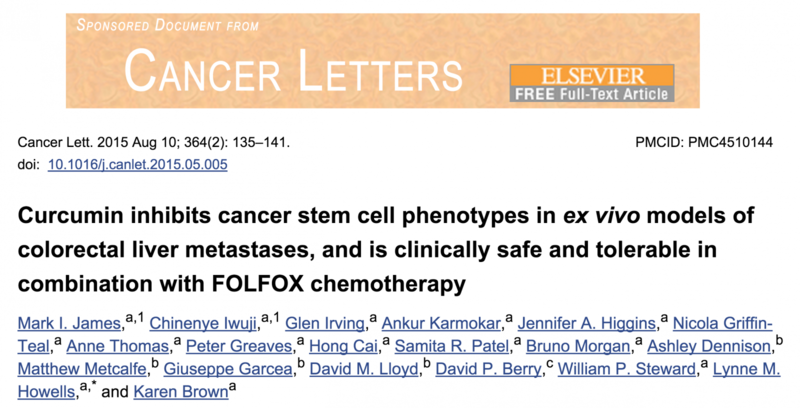 Published this month in Cancer Letters and titled, “Curcumin inhibits cancer stem cell phenotypes in ex vivo models of colorectal liver metastases, and is clinically safe and tolerable in combination with FOLFOX chemotherapy,” the study evaluated the so-called “diet-derived agent” curcumin — the primary polyphenol in turmeric — as a possible adjunct to enhance conventional treatment of colorectal cancer with chemotherapy. 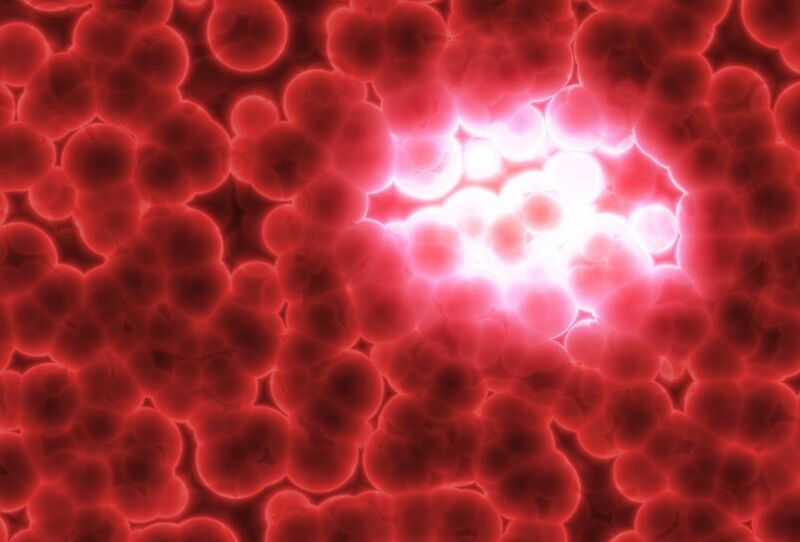 The primary role of cancer stem cells in contributing to cancer malignancy as well as resistance to conventional treatment is addressed in the study. Whereas traditional cancer research methods focus on a treatment’s ability to reduce tumor volume (or the number of cells in a cancer cell culture), the cancer stem cell theory acknowledges that treatments have highly differential effects on the different cell types that comprise the tumor; namely, whereas the relatively benign daughter cells of a tumor may die when exposed to chemotherapy, the relatively chemotherapy-resistant cancer stem cell population (so-called “mother” cells) can actually increase in number as the tumor volume decreases, resulting in creating an albeit smaller but far more dangerous, treatment-resistant tumor. This tremendously provocative finding is given only brief mention in the paper. 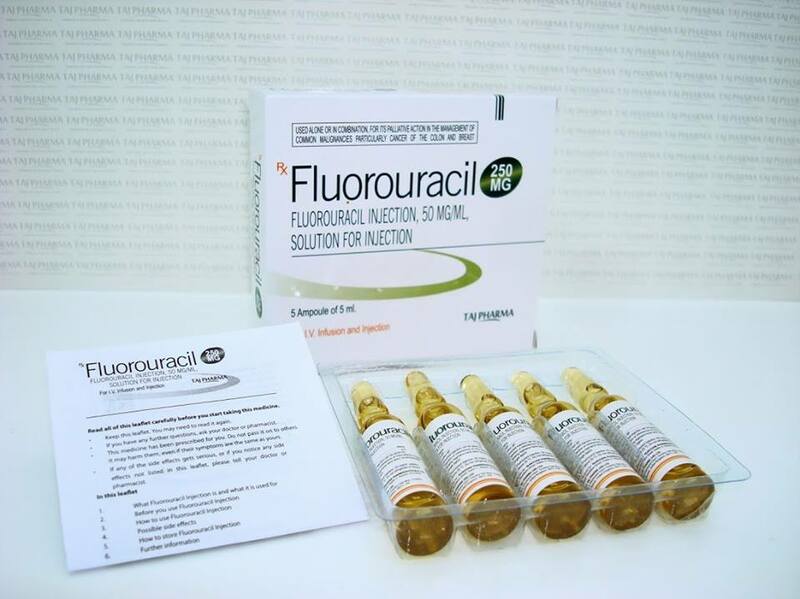 When you look at the toxicological risks associated with chemotherapy agents like 5-FU, which have an oral LD50 in rats of only 230 milligrams/per kilogram, and compare it to curcumin, with an LD50 in rats of 12.2 grams/per kilogram, you can begin to appreciate the revolutionary implications of this research. [Note: An LD50 is the dose required to kill 50% of a test population of animals, i.e. the lethal dose 50%.] Technically, therefore, 5-FU is 53 times more toxic than curcumin, yet according to this research, less capable in combination with oxaliplatin of killing cancer spheroids than curcumin. Oxaliplatin itself has an oral LD50 in rats of about 100 mg per kilogram, making it 122 times more toxic than curcumin. For additional information on the relative toxicity and ineffectiveness of chemotherapy in comparison to natural substances, you can also read: Research: Pineapple Enzyme Kills Cancer Without Killing You. We concur that this is true, especially considering that curcumin has been found to reduce the side effects caused by conventional treatment. But is that all? Shouldn’t curcumin be considered a first-line treatment itself? While the researchers do mention in their concluding remarks that, “Greater pro-apoptotic [inducing cancer suicide programs] and CSC [cancer stem cell] targeting efficacy was observed for curcumin than for oxaliplatin and 5-FU in a small patient subset, warranting further investigation to determine factors that influence response to curcumin,” this doesn’t seem strong enough. 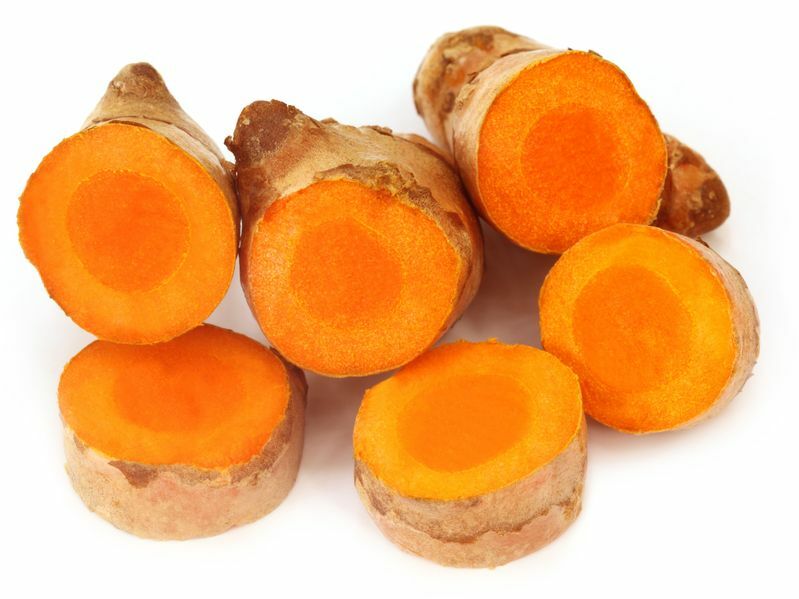 We believe that given the great burden not only of cancer, but cancer treatment-related morbidity and mortality, it is ethically imperative that curcumin should be investigated as the active intervention in future clinical trials compared with conventional treatment. We can no longer pretend that the reason why curcumin is not studied on par with patented chemical medicines is because of a lack of compelling research. This study proves it exists. The key is breaking through the mile high paywall (approximately 800 million dollars needed to fund the requisite clinical trials) that separates natural non-patented substances from FDA-drug approval. In the meantime, a growing population is taking their health into their own hands, and finding ways to prevent and even treat cancer through dietary interventions and related natural approaches. For those doubtful that curcumin possesses significant anti-cancer properties, please review our curcumin database which contains over 1500 studies showing it’s value in over one hundred different types of cancer here: Curcumin research. You can also look at our research and article on Turmeric, which includes even more research on the value of this ancient healing spice: Turmeric Health Guide. 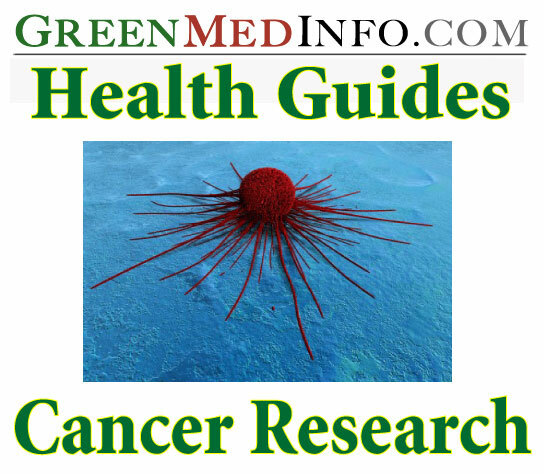 Finally, use our Cancer Research Health Guide for an even more comprehensive set of data on natural interventions for a variety of cancers.